HOW DID YOU DO THAT? | Scarlet Chamberlin Styling Co.
Scarlet, you have one of the coolest jobs in the world! You’re a personal stylist and you help people declutter their closets, figure out their style, and shop for clothes that they love. You also help people choose outfits for important events—like job interviews, TV interviews, red carpet appearances, and things like that. My first question for you is… how does somebody become a stylist? Are there courses that you take in college? Certification programs? What’s the process of stepping into this kind of career? From what I’ve seen, there’s not just “one way” to become a personal stylist. There are lots of different paths. There are some college courses—for example, I think The Art Institute of Portland has a program you can do if you want to pursue a career in fashion or styling. 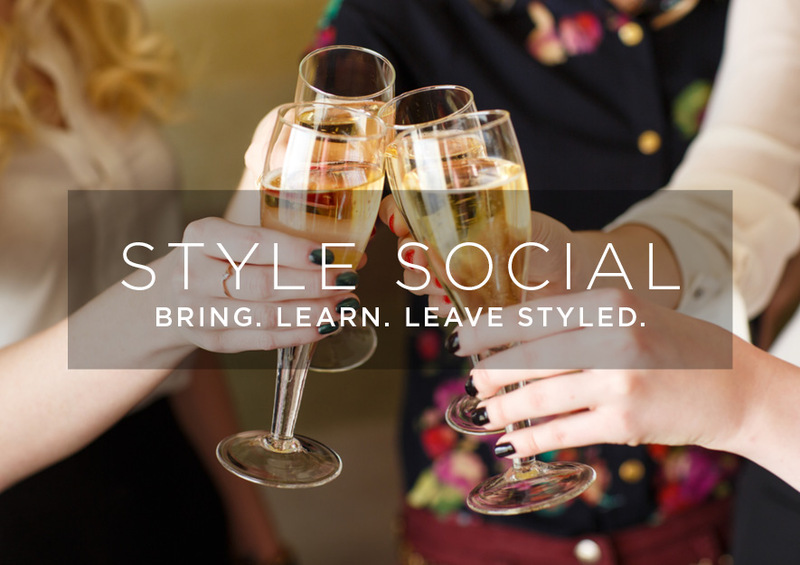 There are quite a few online courses too, including one called The Paid Stylist. I took that particular course early on in my career. Later, I got invited to be one of the mentors for the students in that course, so it all came full circle! I’m still in touch with the people who I studied alongside, many years ago. Our career trajectories have all been different, and it’s been really fun to see each other move forward in our own ways. But how I got into styling wasn’t really a linear path. For me, it was a roundabout journey. I had a few different jobs before I settled on styling. So, when did you start feeling that little intuitive whisper inside, saying, “I think I want to be a stylist”? Were you always fascinated with clothes? My mother was a fashion buyer for the May Company, which was a big department store that was really popular back in the ‘70s and ‘80s—although it has since gone out of business. But back in her day, working for May was such an exciting job. She got flown all over the world, and was wined and dined, and she was always going to interesting places and bringing us toys back from wherever she was. She passed away when I was 11, but I’d already fallen in love with clothes through her. Then in high school, I started making jewelry. Gemstones were my favorite thing to work with, so I learned a lot about gems with my brother and we’d go on hunts around Portland, searching for rocks. Eventually, I learned about some of the healing, spiritual properties of gemstones, which fascinated me, too. I started making jewelry pieces and taking them down to the boutiques on Northwest 23rd to see if I could sell them. I can totally imagine you as a teen-entrepreneur, marching up and down the streets of Portland with a bag full of homemade jewelry! And then what happened after high school? I’m a really tall woman—6 feet—so I got into college on a basketball scholarship. But really, I wanted to study art. The basketball program was really demanding, and it didn’t leave much extra time for me to pursue anything else. After awhile, I just bailed. I knew I wanted a big change, so I decided to go to Italy and study abroad for a semester. When I came back, I went to massage school. You wouldn’t think that massage relates to fashion at all, but what happened is that I got to work with women in a very intimate space, and learned a lot about how we view ourselves, our body acceptance levels, and I learned that everyone has cellulite, even guys. That was when I realized that I wanted to help people feel better about themselves. So, I started making jewelry for people to commemorate things that were going on in their lives—pregnancies, births, new relationships, new projects. Like power pieces, or talismans to remind people of their strength. People loved these jewelry pieces. I started getting lots of custom orders, and even a few celebrity clients, and that’s when I realized that “fashion” can mean something very personal, and it can be a confidence booster for so many people. It’s not just about looking trendy or having sparkly, pretty things. It can be so much deeper. So, for two years I worked on the weekends with my friends and jewelry customers to get better at styling, and come up with my own process for working with clients. After working with my initial “guinea pig” clients for those two years, I felt more confident in my abilities. That’s when I officially launched my styling business. That was about 7 years ago. The time has flown by! Like I mentioned, I started out by working with my friends and family and past customers. Those were my first clients. Those people told their friends about me, and word spread little by little, mostly through those personal referrals. Having an existing following, not the social media kind but the community kind, was a huge part of my business’ relatively fast growth. I was also willing to travel anywhere to work with a referral! I’d put it on a credit card and go because I knew this would grow my business in the best way. And then one day, it happened. And then it started happening again and again and again. That felt so exciting—like I’d reached a new level in my business, because people outside of my immediate social circle were discovering me! I’d love to hear more about your transition into running your own business. Did you have a full-time “day job” during the early phase of your styling business, before you had plenty of clients? How did you support yourself? Before getting into the styling biz, I had been working at Laika, which is an animation studio. It was my first “real job” ever. It was an amazing place to work. Lots of creative people. I had insurance paid for, and I had a paycheck every two weeks. The downside was that I had a long commute every day, sometimes an hour each way. And, as much as I loved the people there, some part of me knew that it was just… not for me. At least, not long-term. I left that job and lined up some part-time work with a friend just to cover my bills. I was doing styling on the weekends, in the evenings and weekdays around my part-time job. I worked non-stop. This was serious HUSTLE time! Always at it making or deepening relationships with the boutiques, consignment stores, designers and influencers in Portland when I wasn’t actually with a client. just dipping my toes in the water, and getting things started. And then my dad died out of nowhere. He had a brain aneurysm. I was really close to him, and his death was completely shocking. After his death, I took a couple weeks off from my part-time job. The first day I had to go back, I almost had a panic attack. I was laying on the floor and I just was like, “Oh my God, I can’t do this. I have to do my dream 100%.” That’s when I decided to take my styling business more seriously, and really go for it. That’s what my dad would want. I’m sure your mom and dad are both incredibly proud of you. It’s interesting how, sometimes, it takes a shocking, even tragic event in order for us to wake up and charge after our dreams, or make a big lifestyle change. That’s the mysterious gift of grief. It can bring us more fully alive. I am curious… after you decided to really go for it with your styling business, how long did it take before you felt financially secure, like, “OK, it’s working. I’ve arrived where I want to be.” A few months? Years? And of course, businesses evolve over time. New goals and dreams materialize. A big moment for me was when I decided to sign up for retreat in Tulum that was being led by two of my favorite astrologers, the AstroTwins. I love astrology and I’d always wanted to learn more. It was such a fun, dreamy trip, with so many serendipitous happenings. On that trip, I started to get this feeling that something was about to change—like I was ready for a new adventure, a new level, some kind of shift. It felt like a big, wide open canvas, filled with possibilities. And so I took the leap. This meant that my overhead increased a bit, but it was a risk I was willing to take. I’m sure that a year or two from now, another risky-but-super-exciting opportunity will present itself, and I’ll probably leap at that, too! That’s always been my personality. I’m always seeking and stretching, so my business stretches along with me. You’re very politically active, as am I. During the 2016 election season, you hosted a Hillary Clinton fundraiser at your studio—the big, dreamy white loft that you just mentioned. I heard through the grapevine that it was an amazing event! And then of course, Trump won the election, which left many of us feeling shocked and discouraged. It’s such a bizarre time, culturally and politically. I’m curious to know… how do you keep yourself feeling positive and inspired when there are so many discouraging things happening in our country and around the world? Lately, I’ve been involved with a group called Progress Makes Perfect, which is a group of people here in Portland who want to see our country move in the direction of fairness and equality. We meet quarterly, and we find ways to get involved with causes that need more support. Everyone in the group has different skills—styling, fundraising, social media marketing, photography, writing—so we try to find organizations that are doing great work, but that need some extra help, and have a limited budget. And we offer our skills and pitch in. I’m also involved with League Of Badass Women “LOBAW” which is now international, in 12 countries with 10k members, but the founder is here and a friend. At first we were focused on resistance and now it’s turning back to leadership, which was the focus prior to the election. We talked about political discouragement a moment ago. I’d love to ask you about other kinds of discouragement, too. Looking back on your career, have there been any moments when you felt really criticized, rejected… really discouraged? What happened, and how did you get through it? Oh, definitely. Many moments. As someone who’s sort of a chameleon and a people-pleaser by nature, the hardest thing that I’ve had to learn over the years is to say “no” and to set boundaries. I’ve had a small handful of really, really hard clients, over the years. One of them was somebody who was visiting Portland from out of town, and she wanted to work with me while she was here. My intuition was sending me some warning signals, but I ignored that and agreed to work with her. I set really clear expectations. I knew her budget. I knew how many pieces I was advising her to buy while she was here in order to create the capsule wardrobe she was asking me for. But then once we met in person, despite all of my communication, I realized she wanted something totally different than what I could provide. I tried so hard to make her dream a reality. In the end, I was just so completely drained and exhausted, and it didn’t feel clean and successful. It felt messy, and she still seemed disappointed no matter what I did. If someone is interested in becoming a personal stylist, what are the first three things they should do? 1. Tell people what you’re doing. Start thinking about who your community is—your existing community of people who can support you, like your friends, family, and co-workers. Start telling people that you want to do this and collecting names and email addresses and phone numbers. 2. Educate yourself on how to run a business. Get involved with a program that can teach you the business side of things. There are tons of free resources online covering web design, marketing, invoicing, tracking expenses, paying your taxes. Find a mentor or a coach or take a business class. Personal referrals are the best way to grow a styling business so any time you can be around other people in a learning environment, it will lead to collaboration opportunities and potential clients! I always encourage people to get out from behind the computer and go engage in real life. It can feel so hard but it is so important! 3. 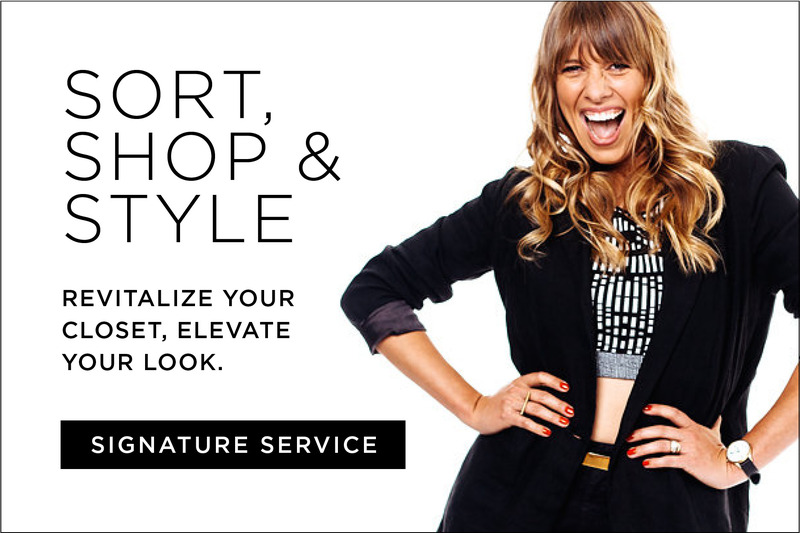 Spend time with an experienced stylist. If you’re lucky, you might meet a stylist who’s willing to let you shadow them, or be their intern or apprentice. If you can’t find someone like that, then create your own apprenticeship program by practicing on your friends. Hone your skills. Learn how to work with different body types, and different comfort levels (some people are fine being naked in front of you as they try on clothes, others are not!) and different people’s personalities. Practice. A lot. It’s not about putting together an outfit that you love, it’s about putting together an outfit that your client loves, which is a very different thing. And when things “click” and your client looks in the mirror, beaming with excitement, and standing up a few inches taller, that’s just the best. I love that moment. And that’s why I’m still totally in love with styling, 7 years in and counting. See the complete interview series on Ellen Fondiler’s website along with more valuable insights!